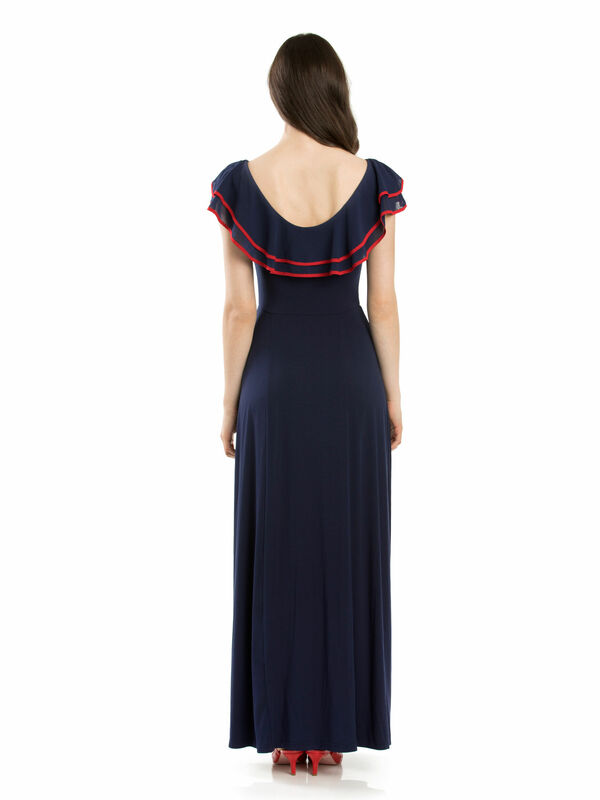 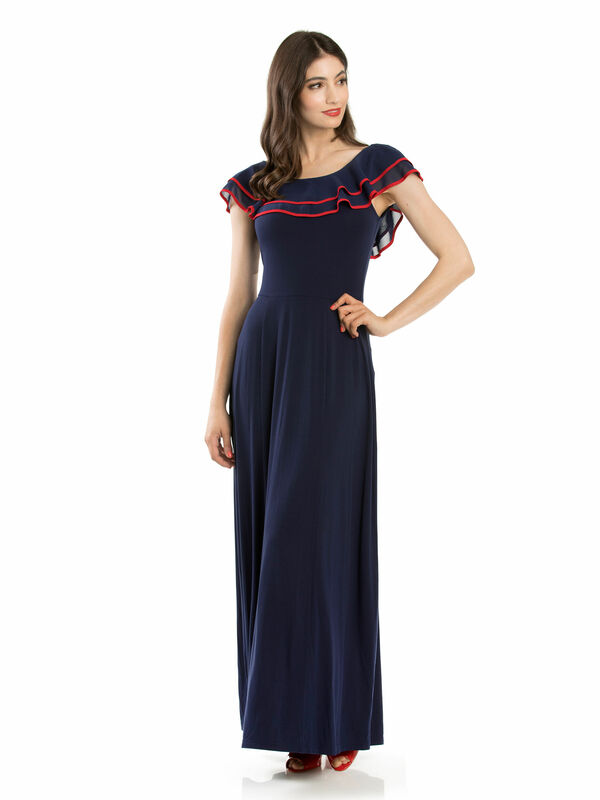 Holiday Maxi Dress https://www.review-australia.com/asia/holiday-maxi-dress-navy/RE19DR264.RENVY013.html Style yourself into holiday mode with the striking Holiday Maxi Dress. 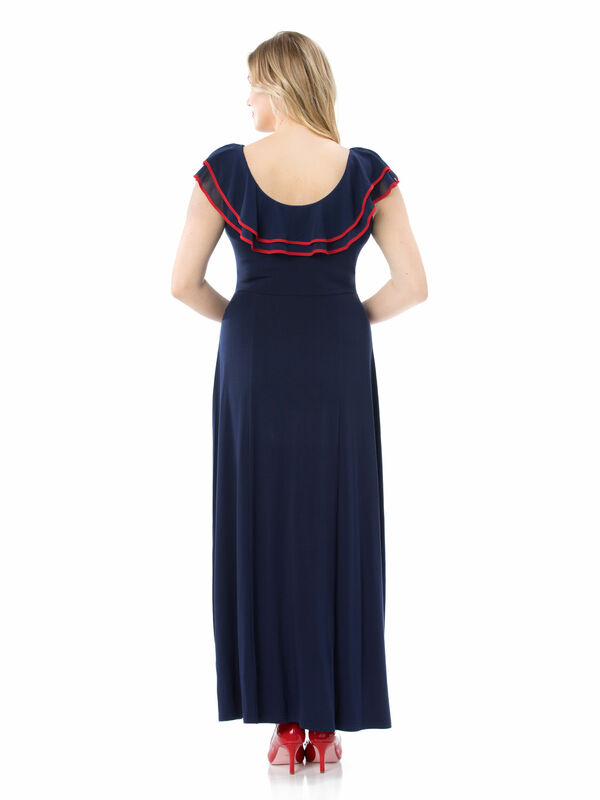 A bold and effortlessly flattering maxi length style, this stretch viscose beauty has a fitted top and relaxed drape skirt. 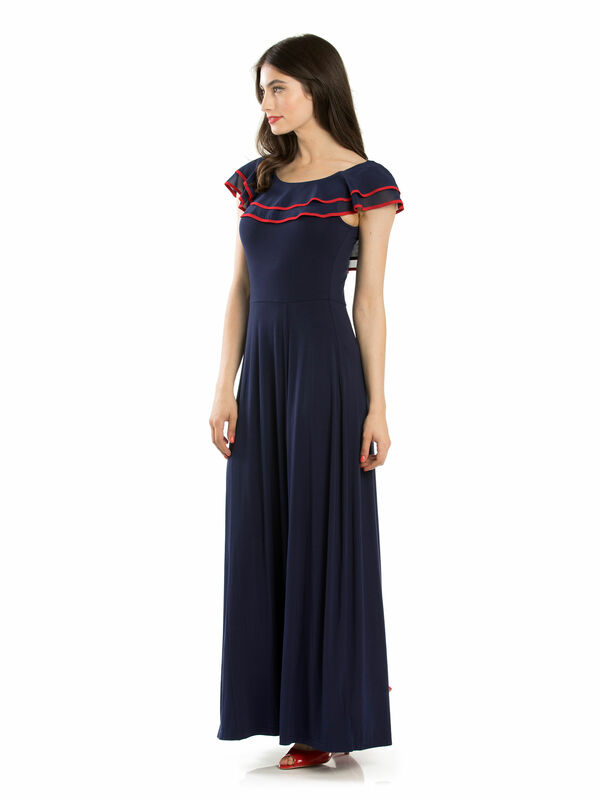 Sheer ruffles frame the neckline and are contrasted with bright red trims.